Student Challenge for TechChill 2018. Photo courtesy of Zeew.eu. The future of tech rests on the shoulders of the students of today. They will be the future founders, entrepreneurs, challengers and curious minds. Thanks to our partnership with Swedbank, more students than ever in TechChill history will have the opportunity to discover entrepreneurship and the world of startups without paying for a pass. The students, all aged 18 to 25 and currently enrolled in a university, had to prove their commitment and motivation by successfully completing a challenge either in computing or business. This week, almost 100 students from 8 countries and 20 universities got a lucky e-mail in their inbox – they’ll be attending TechChill for free to discover the world of tech – and consider a place in it. The student passes will be covered by our partners at Swedbank, the leading bank in the Baltics, who share our goal to encourage more young people to consider a career in entrepreneurship and IT. The potential future founders will get an opportunity to attend the leading startup and tech event in the Baltics and discover the startup world for themselves. “We hope students enjoy and broaden their view about what opportunities are available to them once they graduate. We see many of them as future entrepreneurs and this might be the right time to get to know the various aspects of the business world. Techchill is a great event to meet different entrepreneurs, to talk with innovators, test their ideas and many other possibilities,” adds Reinis Rubenis- the CEO of Swedbank Latvia. TechChill is a platform to network and meet the potential partners, employers, get inspiration for new or feedback for already existing ideas. Students will join 2000 attendees to discuss the future of tech, get inspired by startup founder stories, hear startup team pitches, learn the basics of entrepreneurship from international experts and hear many other hot tech topics at the moment. In addition to the academic education, TechChill and Swedbank encourage students to dive into the startup world and use the theoretical knowledge working with innovation. This year, all students who are considering becoming founders or working within startups had a chance to apply, regardless of the university or programme enrolled in and the country of residence. 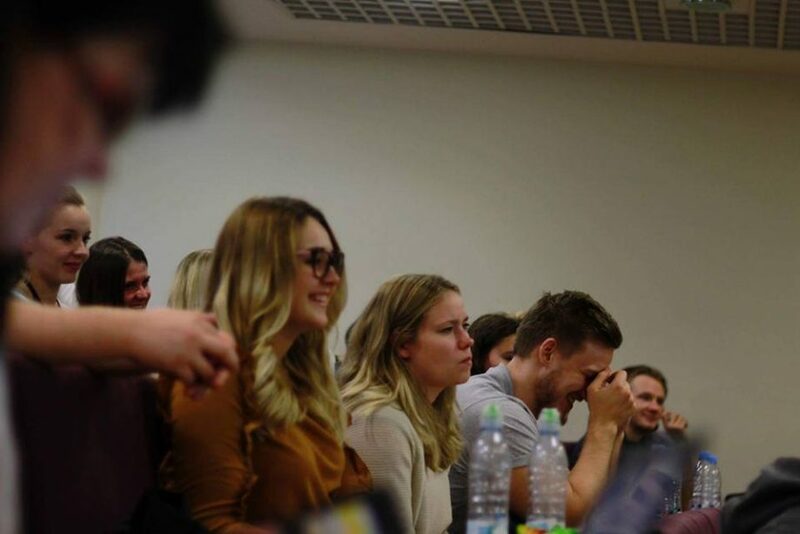 The selected students represent 8 countries – Latvia, Lithuania, Estonia, Austria, Sweden, Ukraine, Kazakhstan, Uzbekistan – and more than 20 universities. The applications this year show a great diversity of academic backgrounds and fields of interest. During the Student Challenge, TechChill team visited several universities of the Baltics with guest lectures together with great people from both the startup community and successful companies to share their insights and behind the scenes stories of entrepreneurship. The guest lectures took place in 12 universities and gathered more than 500 students hungry to learn more about the startup ecosystem and how to participate. As a major bank, Swedbank takes a significant part of the financial system and plays an important role in the local communities they serve. By addressing environmental and social risks in our business Swedbank contributes to more sustainable companies and communities. Their sustainability strategy is based on integrating sustainability in all core processes, in lending and investment decisions, in procurements and in our payment flows.